Hello and Welcome to our new and improved website. With a wide range of products available to choose from, we thought it would be a good idea to present our popular ranges in a format that allows you to easily identify your requirements. We will continue to adapt and evolve the site and would welcome any ideas or suggestions you may have to help us achieve this. Posted July 23, 2013 . 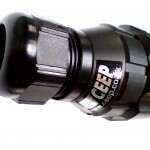 CEEP now offer an affordable solution for those of you who require a high powered connector, housed in a compact shell. 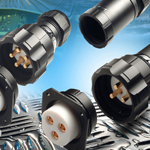 Based on customer feedback, we’ve developed this range of connectors to substitute highly priced and over specified products currently being used in applications that simply don’t warrant them. Our rugged T-40 Sized connectors are now capable of comfortably carrying up to 5 x 80Amps. Rated at IP67 (waterproof) and available in a range of finishes. Posted July 15, 2013 .